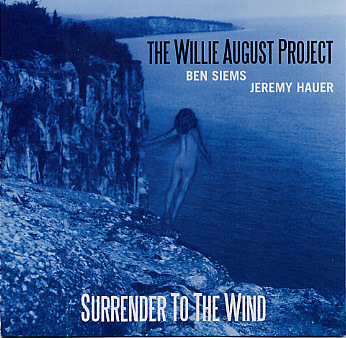 Jeremy's other band the Willie August Project had been getting some good pub lately, including nomination's for Best Electric Jazz Group/Artist, Best Jazz Recording from the Minnesota Music Academy. You can get the record from their site, here here or here. "Siems and drummer Jeremy Hauer are the Willie August Project (named for Siems's grandfather), and in six years of playing together, they've developed a strong mid-range telepathy resulting in subtle, seamless music that, while not shattering any great boundaries, bridges gaps between such things as structure and freedom. Joined here by bassists Scot Hornick and Jim Chenoweth, as well as pianist Laura Caviani for two tracks, the Willie August Project offers consistently inventive improvisation on this direct-to-two-track session of original tunes."